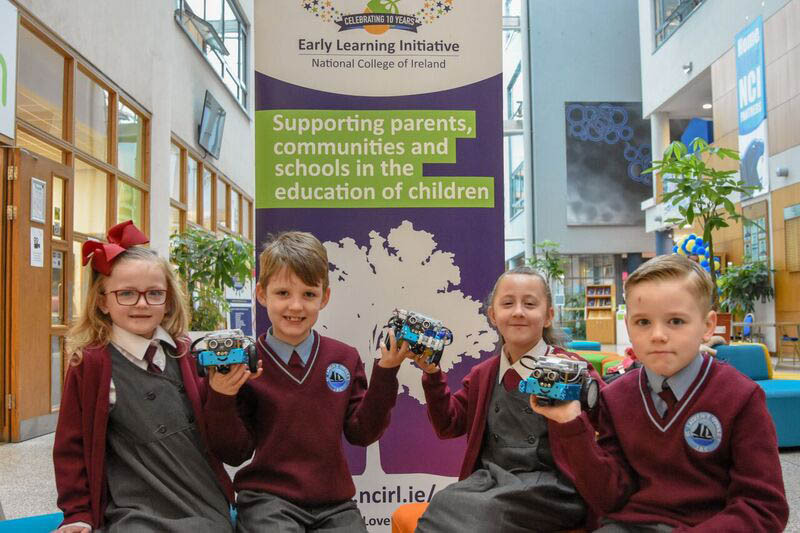 Good news for children aged 7-12 living near National College of Ireland (NCI); Early Learning Initiative’s (ELI) Coding Club is back and bigger than before! 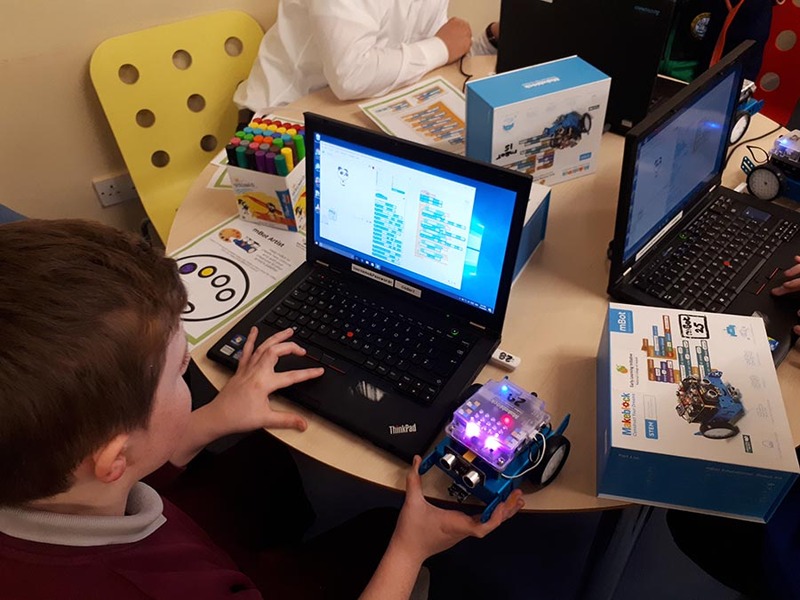 Thanks to funding and support from basis.point and Royal Bank of Canada (RBC) until May 2020, even more children will learn programming, electronics and robotics in a fun and challenging way. Coders Harlow Wilson, Reece Kelly, Shannalee Curtis and Mark Hynes with president of National College of Ireland, Gina Quin; Dr Josephine Bleach and Shivonne Heery from NCI’s Early Learning Initiative (ELI); Eimear Cowhey and Tom Coghlan, basis.point; Padraig Kenny and Karen Craig, RBC Investor & Treasury Services, Ireland. Also pictured, robots from ELI’s Coding Club, funded by a basis.point Partner Programme with RBC. Run by staff of NCI’s School of Computing and volunteers from RBC in NCI and local afterschool settings, students learn to code, build and test mBots, and programme them to take part in a number of games and activities such as ‘mBot says’, musical statues, Snakes & Ladders and more. This allows children to see their coding in action, and enthuses them to acquire new skills. Clive Bellows, Chairman of basis.point said “basis.point is delighted to have worked with RBC through our Partner Programme to facilitate the expansion of this great initiative. Our collaborative ‘joinedupgiving’ approach enables the ongoing support and development of this and other exciting educational initiatives for young people in Ireland”. We are proud to support a broad range of community initiatives through donations, community investments and employee volunteer activities. 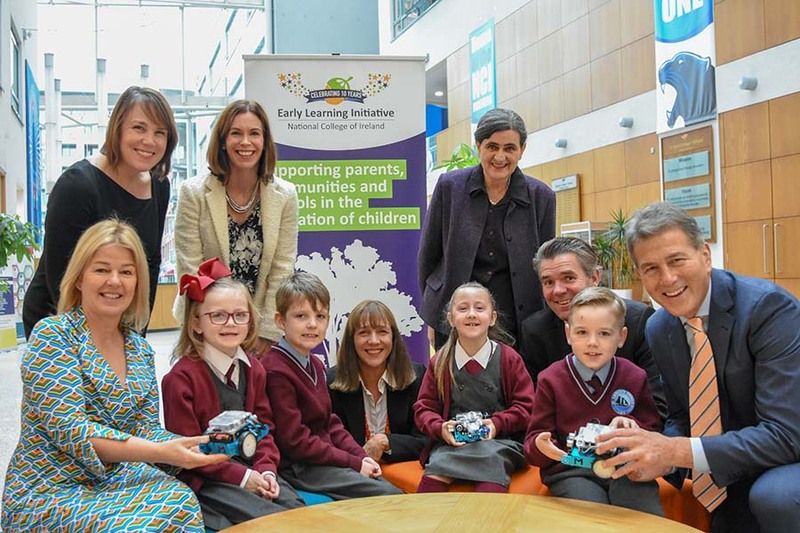 The Early Learning Initiative (ELI) at the National College of Ireland (NCI) was developed to address the problem of educational underachievement in marginalised communities. Building upon tried and tested models of early years’ intervention, ELI’s mission is to work with communities in areas of greatest need, to provide world-class parent and child learning support programmes. For more see www.ncirl.ie/ELI. Follow our 2018 birthday celebrations on #ELI10 @ELI_Docklands. National College of Ireland is one of Ireland’s most innovative third-level institutions with over 5,000 students across its key areas of business, computing, education and psychology. Courses are delivered in its IFSC campus, online and in-company, in areas like cybersecurity, data analytics and fintech. NCI is proud to be home to the Early Learning Initiative. A registered charity, basis.point is the Irish Fund Industry’s initiative to come together on a “joined up giving” basis to help make a real and sustainable difference to the educational life-cycle of children and young people from areas of historical disadvantage. basis.point achieves its goal by providing grants to other registered Irish charities with similarly aligned objectives and initiatives to fund programmes that focus on education. 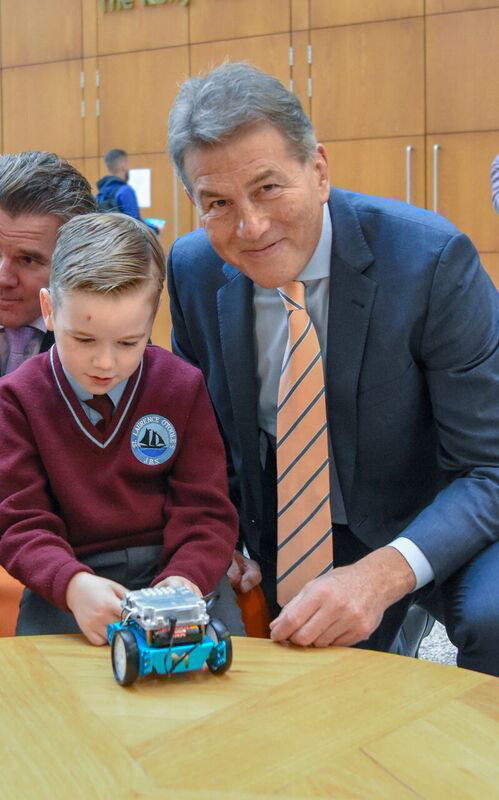 To date some €1.4m, raised through individual and corporate donations, has been committed by basis.point to six registered charities working for the benefit of children and young people on multi-year, evidence based educational programmes, currently in geographical areas representing the Industry’s footfall throughout Ireland.